Modern plant protection products are often discussed in public debate, and the negative effects of their improper use are often the focus of attention. The recently published HFFA Research Paper 02/2017 highlights the societal benefits of these chemical products – an aspect that is often neglected in the discussions. 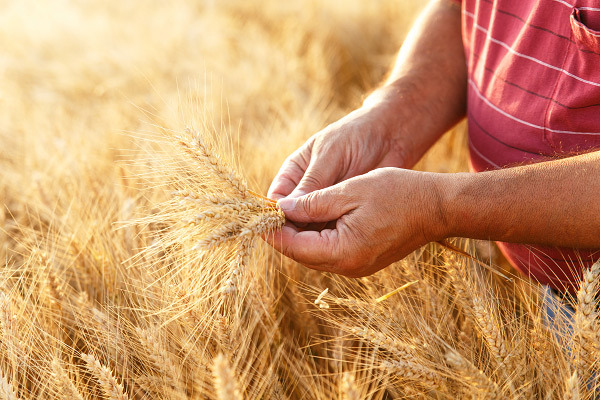 The study makes it evident that, even though these substances have potential risks, they also lead to an overall higher productivity in German farming due to increased yields when applied responsibly. This has an advantageous effect on regional as well as global food security. The resulting higher quality and quantity harvests lead to higher incomes for farmers, as well as lower prices for consumers and society as a whole is benefitted through a higher GDP. The study also shows that rural areas profit from higher agricultural productivity. The accompanying positive effects include the support of structural change, higher employment rates and farmers’ increased willingness to invest. Ultimately, this is beneficial not only for the future of rural areas but also farming in structurally weak and economically underdeveloped areas. In terms of environmental effects, the usage of plant protection products in combination with modern agricultural technology is promising for soil, which is considered a scarce production factor. By increasing the productivity on soil already used for agricultural production, instead of converting non-agricultural land to cropland, the potential CO2 emissions and biodiversity losses associated with land conversion can also be avoided. 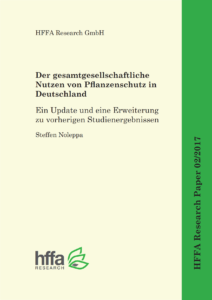 The author of the study, Steffen Noleppa (HFFA Research), concludes that properly applied chemical plant protection products in combination with modern agricultural technology result in positive economic effects as well as positive ecological effects. He also encourages the public debate to become more objective and science-based, and less emotional and based on idealism. Again, the study thus makes a strong case for applying a more holistic approach in which the positive effects of plant protection products and modern agricultural technology are also part of the picture. The Conclusions of this study can be downloaded below (German). For access to the full version (German), please contact us.